My heart has been broken over the past months as news has poured out of the Middle East of atrocities committed by ISIS against their own countrymen, particularly against Christians. 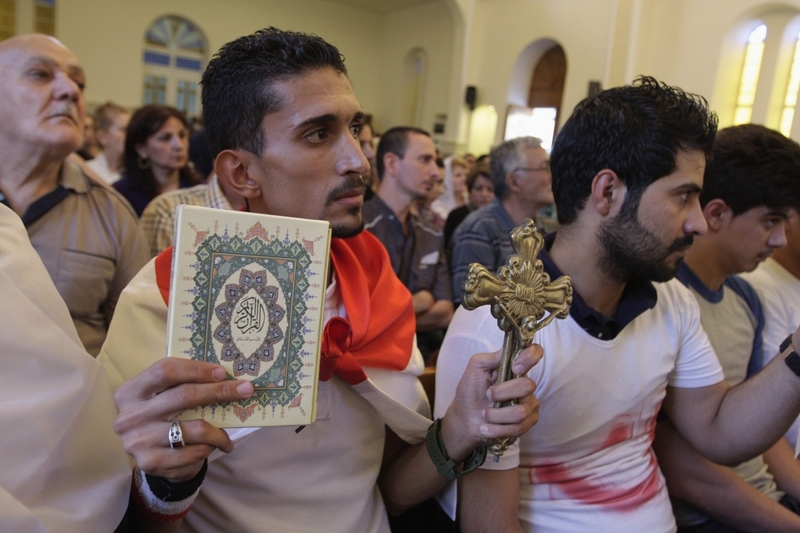 Christians have been shot, beheaded, tortured, and even crucified. It has been my prayer that God would stop their hand from evil and murder, as well as that he would miraculously save someone in their leadership (not unlike Saul as he ravaged the church). Likewise I have prayed for the Christians to have comfort, strength, and love for one another in this time. Over the past three years, my favorite album has been The Water and The Blood by Sojourn, the musicians from Sojourn Community Church in Louisville, KY. The album is a re-imagining of Isaac Watts’ hymns, a multi-album project of Sojourn’s. Recently while driving down the road and thinking of Christians persecuted around the world, the song “Let The Seventh Angel Sound” came on. It’s long been one of my favorites, but had been out of mind for a season. The song fits so perfectly the present situation in the Middle East. God is not waiting back apathetically. He hears the cries of his people, and will execute justice on those who do evil to them. The wrath of God against the oppressors of the church ought to comfort us in our distress as we are persecuted or as our brothers and sisters in the Lord are persecuted. Rather than go on and on about persecution and God’s justice, I’ll just give you the song to listen to for yourself. It’s number 5 on the tracklist below.